Gulping down oysters has long been a favourite New Year's Eve ritual for the French, but as winters get warmer and summers get drier many growers worry there will soon be fewer of the prized mollusks to go around. "Twenty years ago, we'd be shivering in the warehouse while preparing the holiday orders. Today it's 15 degrees (60 Fahrenheit)," says Brittany oysterman Mathieu Le Moal, his sleeves rolled up in front of a tractor carrying dozens of bulging oyster sacks. "We don't have seasons anymore -- but oysters need all four," Le Moal adds. "They need the winter, it's when they can rest, use less energy." Le Moal and other farmers along this stretch of France's Emerald Coast say the long drought which struck swathes of the country this summer took a heavy toll, leading to smaller harvests, and smaller shellfish. Without summer rains that wash crucial minerals into the oyster beds, "there's no plankton, the main food for oysters, so they don't grow," explained fellow oysterman Bertrand Racinne, weaving his way between baskets and stacked crates. "In the end, we have oysters but not enough of the big ones," said Racinne, who like most growers sells more than half his yearly production in December. Cold weather normally encourages a needed rest for oysters to mature, said Yoann Thomas of France's IRD research institute. Rains may bring minerals that favour plankton growth -- but they also mean the mollusks spend too much energy eating. This year's harvest are likely to start the spring "fragile and vulnerable", warned Racinne. 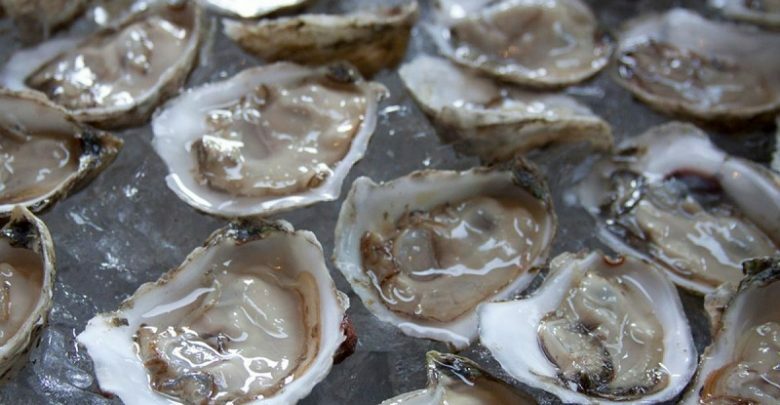 "We've found that periods of extreme mortality (more than 25 percent of oysters) come several months after mild and rainy winters," Thomas said. "Ten grams fewer for each one, that makes a difference in sales," said Philippe Le Gal, president of the CNC national shellfish producers' association. In 2017 the roughly 4,500 oyster growers in France sold 100,000 tons, at an average price of 5,000 euros ($5,700) per ton. "Oyster farmers will see volumes down by 20 to 30 percent this year," Le Gal said. "Climate warming is starting to have an impact." "Oyster farmers had found a solution by putting ten times the amount of spat in the water in autumn, when the virus is not active," Pernet said. "By 2035 the abnormally high mortality episodes that currently occur every ten years risk happening every two years," Pernet said. "Mortality rates change every year, depending on the region... but nobody can really explain why," said Alexandre Prod'homme, another grower in Cancale. "Oysters aren't going to disappear... but they're probably going to have to migrate," he predicted. For now, most growers say they're going to wait and see. "We're not sure about anything regarding the impact of global warming, we're waiting for more scientific research," said Daniel Coirier, president of the shellfish association for the Poitou-Charentes region. "But even if they're not as big, our oysters are still magnificent, and top quality!"